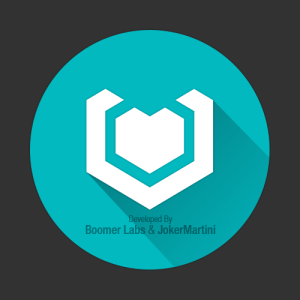 Boomer Labs and JokerMartini have released their scene management plugin for 3DS Max. Vexus is a standalone node-based editor for constructing, managing and manipulating scenes. It allows users to work with massive scenes for any kind of project, both small and large. Vexus removes repetitive scene setup work with its dynamic tokening system and flexible framework. Artists can save, reuse and share setups. The plugin is priced at $250 and supports 3DS Max 2015-2017. A demo version is available for free. More on Boomer Labs’ website. There is a new video Tutorial series released here on JokerMartini. We will be releasing videos showcasing tricks and workflows used in production. The scenes and tools created in the videos will be available for download as well. To start off the series we’ve posted four videos. You can find them in the Shop. Check out the latest version of Ringer. It now comes with presets, additional cloning options and various animatable randomization controls. A handful of suggested features have made their way into Ringer. The update, along with a video showing the features will be released later this week. There are more products coming to the store as well. More items have been added to the shop. Five more free items as well! Keep checking back for more. The updating of JokerMartini continues. We’ve released a few more plugins over the past week, be sure to check them out. The latest of the plugins is Ringer. A demo video showing off it’s features will be released later this week. The store continues to grow with content! Some model bundles will be coming soon. Added some more products to the shop today, check it out! More to come this week. We are in the final stretches of completing the new website as you can see. The only things remaining are uploading all of the products and tutorials to the shop. We have 40 products coming soon! Keep checking back to see new tools, tutorials and products!